Mader International is proud to be contracted to Ambulance Victoria to provide commissioning and decommissioning services of their extensive Emergency Response and Non-Emergency Response fleet throughout Victoria that complement the primary response Sprinter ambulance fleet. New “Facelift” Sprinter Ambulances hit the road! 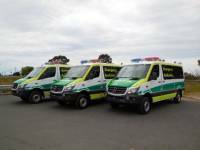 The first batch of Sprinter Ambulances built on the new “Facelift” model Mercedes Benz Sprinter in Australia have been delivered to the South Australian Ambulance Service. 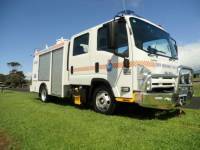 "OLD IS NEW AGAIN" Mader were contracted by the Tasmanian SES to undertake a refurbishment of an existing Rescue Truck they purchased recently. 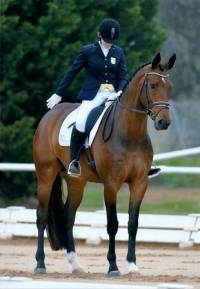 Might not be an ambulance, but Mader International are backing another winner! Recently delivered to SAAS were two Toyota Troopcarrier 4WD Ambulances. These new vehicles will replace similar older units built by Mader some 8 years ago and which have served SAAS well. High Acuity Transport Service (HATS) ambulance. Mader has recently completed the fit out of a Community Emergency Response Teams (CERTs) vehicle for Ambulance Victoria (AV). 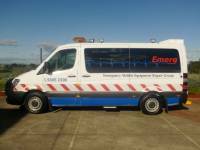 Mader have just recently completed two Toyota Hiace ambulance fit outs for Royal Flying Doctor Service. Mader International has been extremely pleased to be able to work closely with one of the largest private Patient Transport Companies within Victoria and provide our expertise for their large fleet of ambulances. Mader has recently completed the conversion of six Mercedes Sprinter vehicles for the Royal Flying Doctor Service in Victoria. Unmarked Response vehicles for Ambulance Victoria now include the new Ford Territory within their Fleet. 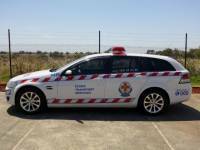 Mader releases its 5th Mobile Service Group (MSG) vehicle into service to attend Ambulance Victoria's fleet service requirements. Mader International has just manufactured and delivered a “milestone” ambulance to one of its major customers. The 100th of the new hybrid ambulance developed for Ambulance Victoria. Mader has recently designed and manufactured a Police Forensic Unit Vehicle for Tasmania. The vehicle was designed to be more user friendly with a lot more room for the equipment it is required to transport. Access to the draws containing equipment has become much more straightforward. It also features a fold down work bench which is a valuable addition- it makes the handling of exhibits from crime scenes much easier for the operators. The module has been designed so that it can be removed from its existing vehicle and transferred to multiple vehicles if required in the future. Mader have recently built a specialised vehicle for Fire and Safety, Western Australia. 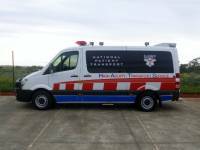 The vehicle is an Emergency Ambulance which will be based on Barrow Island, located around 50km northwest off the Pilbara Coast of Western Australia. No organic materials were used in the manufacture of the vehicle due to the strict quarantine restrictions of Barrow Island. It is a 4x4 Mercedes Sprinter fitted with a rear air-conditioning unit to suit the extreme weather conditions on Barrow Island.